The youth orchestra that I help coach had a big concert yesterday, and the kids were wearing black and purple. 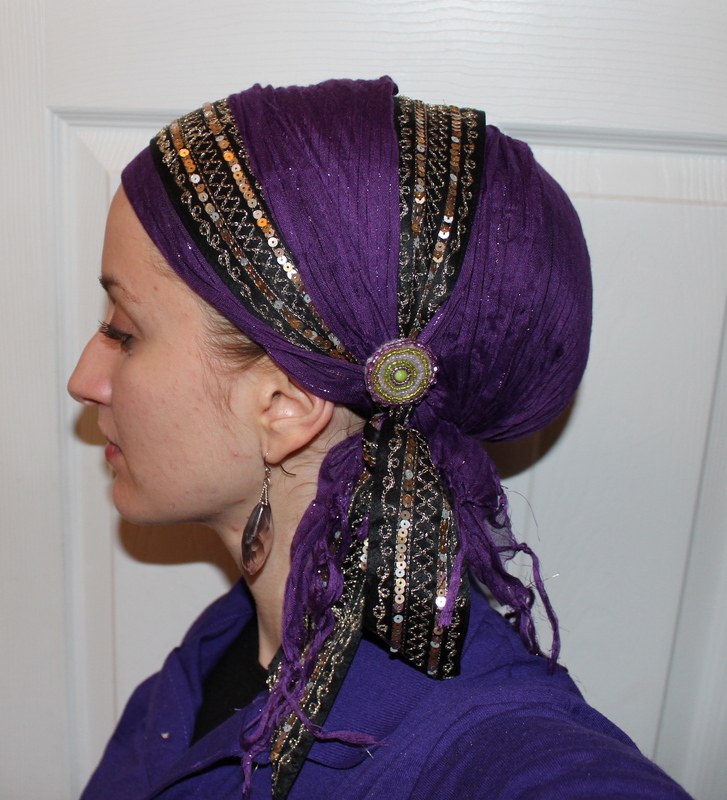 I created a head wrap to match! 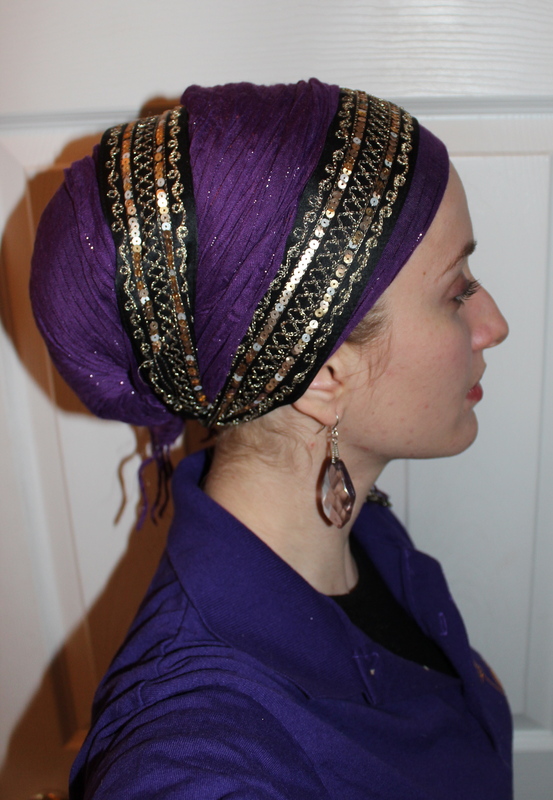 You look like someone out of The Arabian Nights (I think that’s what the book is called in English) I love it. Andrea, you look so gorgeous in purple. Very pretty! Purple is one of my favorite colors. 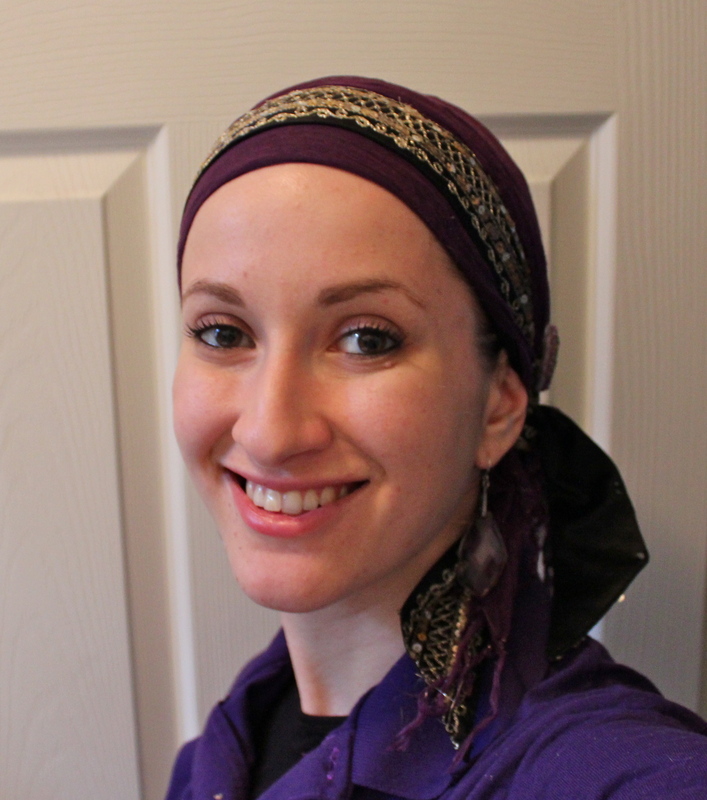 I just received my tichels and square scarfs in the mail yesterday and I’m going to put something lovely together for Shabbos, maybe something with purple. Where did you get them from? Are you new at covering? That one’s gorgeous- what a great accent piece that black and gold sash is. Loved the black sash!! Where is it from?